FONTANA, Calif. — At first glance, Anthony and Vanessa Genau’s home in a subdivision beneath the San Gabriel Mountains here is like any other gracious new suburban dwelling, with an open-plan living space, granite countertops and stainless steel appliances. But, along with 19 other cream, taupe and rust stucco houses that cradle the landscaped playgrounds here, it is actually something else: a large-scale testing ground for an energy system of the very near future. With a combination of rooftop solar panels, smart thermostats, advanced water heaters and other high-efficiency features, the homes are all built with a similar goal: to make at least as much energy as they use over a year. It’s a concept known as zero net energy, and the cluster of homes here represents one of the nation’s largest experiments to see if zero net energy can be put into wider use. That question has particular urgency in California, whose goal is that all new homes be net-zero or the equivalent by 2020. But as the price of installing and operating once-rarefied technologies has plummeted, builders across the country are increasingly offering homes with the promise of comfort along with low — or almost no — electric bills. Since 2013, the Energy Department has certified about 700 homes as “zero-energy ready,” meaning that the addition of a renewable energy system, generally solar, would offset most or all of its annual energy consumption. With thousands more in the pipeline, said Sam Rashkin, chief architect of the building technologies office, the department expects to certify roughly 1,000 this year and 3,000 in 2017. Denver is a leading market, with thousands of zero-energy homes on the way in developments like Stapleton and Sterling Ranch, he said, although there are many others in New England, New York and the Carolinas. Low-income developers, including Habitat for Humanity, are also active in building the homes. Although the efficiency features can be more costly, they are often offset by energy savings and other economies. The proliferation of zero-energy homes comes as the power industry and its regulators struggle to adapt an old power system — in which large, centralized power plants distribute energy to thousands of homes — to new approaches and technologies. The explosive growth of rooftop solar in states like Hawaii, Arizona and California has upended not only utility business models but also patterns of supply and demand. Solar power, by its nature, is intermittent, which places strain on utilities and grid operators that need to meet homeowners’ energy demands at night when the sun is not shining, while also taking in the excess energy rooftop solar systems produce during daylight hours. Although the proportion of homes with solar is not yet high enough in most markets to cause major problems, industry executives and analysts say it is important to begin studying how that and other technologies affect the nation’s power grid now. To do that, Mr. Narayanamurthy said, it was important to conduct the study, in partnership with the California Public Utilities Commission and its program manager, Itron, in real homes with people using them the way they normally would. But they also needed to have groups of homes clustered on individual transformers to allow them to compare the results with the traditional method of providing power. With that information, they can determine the value for homeowners and grid system operators of adding features like solar panels, heat pumps and, in some cases, battery storage. 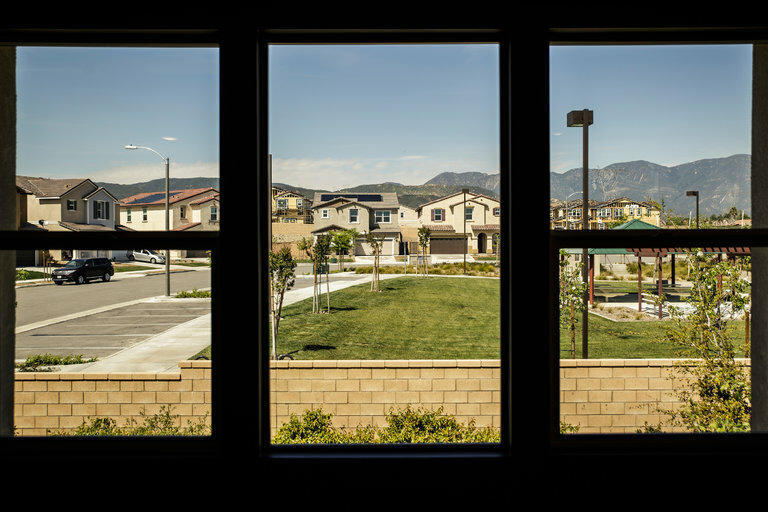 They found a willing collaborator in Meritage, a leading builder of energy-efficient homes, and are expanding the test program to additional subdivisions in Southern California, the Central Valley and the Bay Area. For buyers, part of the appeal of a home built to be zero-energy is that they do not have to change their behavior to save energy. At Meritage, the company insulates every house with spray foam, sharply reducing the amount of heating and cooling needed, and allowing smaller or fewer units to be installed. Making the homes even more efficient are dual-pane windows that help retain or keep out heat (depending on the need), LED lighting and advanced water heaters that work by funneling heat from the ambient air into the water. All of the test homes have SunPower rooftop solar systems, which are among the most efficient on the market. And because they were designed along with the houses, the arrays can be oriented for maximum production. Half of the test homes also have energy storage systems with LG batteries and Eguana inverters, which help manage the flow of electricity between the solar installation, home and grid, to allow researchers to test and compare how much value they add. The houses come equipped with A. O. Smith water heaters that can be remotely controlled and Trane smart thermostats that can manage all the equipment and can connect to cameras and security systems. If homeowners feel any effect, it is in the pocketbook, at least initially. The houses, all with three or four bedrooms, cost more than the $373,990 to $476,990 standard for the subdivision about 20 minutes west of San Bernardino. But because the cost is wrapped into the mortgage, and paid over an extended period of time, it is more easily affordable, and the larger payments are generally offset by the savings on energy bills. “With this stuff thrown in you can afford a lot more house, and you get a lot more value,” Mr. Genau, 31, said. Their energy bill now? About $10. And they feel little effect, living in comfort and controlling the temperature in the different zones of their 2,800-square-foot, three-bedroom home from a smartphone. “I think I did a dance or something when I saw it — it was so cool,” she said, adding that if she feels it’s getting warm, she will sometimes turn on the air-conditioning from her pew at church, where they often brag about the house. “I think they get tired of us talking about it,” she said.